In the following interview, Sahar Amer, author of What is Veiling?, talks with Caroline Rudolph about one of Islam’s most misunderstood and controversial practices. Caroline Rudolph: What is Veiling? is the first in a series of books from UNC Press that will explain key aspects of Islam. Why might the topic of veiling be an appropriate starting point for such a series? Sahar Amer: Veiling is one of the most visible signs of Islam as a religion and likely its most controversial and least understood tradition among non-Muslims, and perhaps surprisingly, among Muslims as well. Many non-Muslim and Muslim readers are often unfamiliar with the religious interpretations and debates over the Islamic prescription to wear the veil, the historical and political background to current anxieties surrounding the veil, or the range of meanings the veil continues to have for Muslim women around the world. In many ways, understanding the complex and often contradictory meanings of veiling is also understanding how Islam has come to mean so many different things to different peoples. CR: You were a professor in the Asian Studies department at UNC-Chapel Hill for many years before moving to your current position as Chair of Arabic and Islamic Studies at The University of Sydney. What differences, if any, have you noticed about veiling practices between each of these campuses specifically and in these different countries generally? SA: There are some fascinating differences between veiling in North Carolina (U.S.) and veiling in Sydney (Australia) that I have noticed in the six months I have been living in the Pacific. One of the most interesting things I noticed is the much wider range of ethnicities in the women who veil in Australia compared to the United States. In the United States, most women that we see veiled are from either an Arab or an African American background. In Australia, on the other hand, because of its proximity to Asia, most veiled women I see on campus are from Asia: Indonesia, Malaysia, and even China. Of course, there are many Arab students who veil as well (mostly from Saudi Arabia and the Gulf region, but across the Arab world, too), but they are not the majority. In addition, one of the most striking things for me is the fact that Muslims in general seem to be better integrated in Australia than in the United States. On UNC’s campus, we tended to see veiled Muslim students hanging out with other veiled students. In Sydney, veiled Muslim women are always in groups with non-veiled ones. This is forcing me to rethink the relation between veiling and Islamophobia. CR: You were born in Egypt and grew up in France, home to one of Europe’s largest Muslim populations. How did your early experiences shape your perceptions of veiling? Have you seen a change in attitudes in these countries since the time that you first lived in each? SA: While I was growing up in Egypt (in the 1960s), very few women wore the veil. Since the early 1980s, a growing number of women started wearing the veil. Today, the majority of women in Egypt veil (I am often mistaken for a Copt because I do not veil). So this is a huge change. When I lived in France throughout the 1970s, hardly any Muslim women wore the veil. This situation too changed in the late 1970s and 1980s as a result of legislative changes that increased the number of North African (largely Muslim women) immigrants. This is when we began to see in France a growing number of women who veiled. This change happened at the same time as a weakening economy took hold. The Far Right movement (led at the time by Jean-Marie Le Pen) started rising to prominence by pointing to the presence of veiled women and immigration policies as the main causes for France’s problems and unemployment. This is when we can date the beginning of a heated and politicized debate over veiling which led to a law banning headscarves from public schools in 2004 and another law banning the niqab (face veil) from all public spaces in 2010. Today, and as a result of these laws, one sees many fewer women who veil in France. They have not disappeared entirely, and some women continue to defy French laws (by wearing the face veil in public, for example), but generally, one can say that most Muslim women no longer wear the hijab in France. The problem in France, however, is that veiling (the hijab, but especially the niqab) is always assumed to be imposed on Muslim women, and is hardly ever thought of as individually and personally chosen. This is perhaps one of the biggest misunderstandings surrounding this practice. In addition, veiling has become in France an easy platform for politicians to deflect attention from pressing social, economic, and political issues and to focus attention elsewhere to gain electoral advantages. CR: Have you had any personal experience wearing a veil? If so, how did it impact you? SA: I wore the headscarf for about one year when I was 20 years old. It was in many ways a life-changing experience spiritually, personally, and politically. I started to veil in the early 1980s at a time when the younger generation returned to veiling practices that had all but disappeared in the Arab world for decades. I still remember spending my summer in Egypt, going between Cairo and Alexandria. I spent much time with my paternal cousin who was then in her mid-twenties and the first woman in our entire extended family to adopt veiling. That summer, I also met many friends of the family—mostly men, it so happened—who were also in their early twenties and who had recently become extremely pious, reading the Qur’an more regularly and discussing its prescriptions with whomever would listen. I was greatly interested in these discussions because at Bryn Mawr College where I was an undergraduate at the time, I had just been elected as the President of the Muslim Students Association, and I felt that I had to become a lot more knowledgeable about Islam so I could better lead the other Muslim students who were only nominally familiar with Islam and who thirsted for knowledge and leadership. While in Egypt that summer of 1983, I still remember the extraordinary sense of community that veiling created between me and all the other young women who veiled, as well as with the boys who started to grow beards. After these summer months, which were full of spirituality and prayers, I went back to college in the United States where I was the only veiled woman at Bryn Mawr. This was a suddenly awkward and lonely experience. People did not understand why I veiled when just a few months before, I had not. They wanted to understand, and so I found myself explaining and explaining and explaining, even justifying why I had made that decision. There seemed to be nothing important about me besides what I wore on my head. I did not experience Islamophobia because I veiled, just a lot of respectful ignorance accompanied by polite distance. This is why I ended up taking off my veil after about 10 months. It is very hard being the only veiled person in any community. You become like the elephant in the room. CR: You address many misconceptions that accompany the topic of veiling. Which of these do you consider to be foremost in need of correction? SA: The greatest misunderstanding about veiling is that it is imposed by an outside party, not willingly adopted by women. To be sure, some women are forced to veil because of parental pressures or because of the government of the country in which they live. But they are the minority, not the majority, as much of the media wants us to believe. Another deep misunderstanding among Muslims and non-Muslims is that Islam as a religion explicitly requires women to veil. As I show in one of the chapters of What Is Veiling?, there are actually a lot of debates over the meaning of Qur’anic passages that some interpret as an injunction to veil. A third misunderstanding that I debunk in my book is that there is only one “authentic” way of veiling, which, as the glossary of my book shows, is far from reality. One of the crucial goals of my book is to remind readers that veiled Muslim women are simply women who dress slightly differently than others, most often by choice, and that they are human beings, like others, with similar lives, challenges, aspirations, hopes, and dreams. CR: A starred Publishers Weekly review of What is Veiling? notes that you spare no one in your analysis, and are critical of both Western and Muslim exploitations of veiling. Can you please elaborate on this? SA: In What Is Veiling? I want to correct the assumption that Muslim women are solely victims of Islamophobia. Needless to say, it is very true that some Muslim women encounter Islamophobia, especially since 9/11. However, Muslim women are not just victims of misunderstanding or ignorance stemming from the Euro-American media or societies. The institution of veiling is subject to gross manipulation by fundamentalist Islamist regimes. Some of these Islamist regimes (in Saudi Arabia, Iran, and the Sudan for instance) impose veiling on women and do not take into account women’s own voices. But Muslim women are also increasingly avid consumers of Islamic fashion, which one may view as an exploitative industry, albeit of different sorts, but in parallel to Western fashion. Muslim women face the same consumerist temptations as non-Muslim women: fashion, beauty pageants, hair styling, etc. CR: PW also says that you have created “perhaps the definitive glossary on veiling.” How do you envision readers utilizing this rich resource? SA: I had a lot of fun compiling this glossary. I originally began compiling it because I was frustrated that in Euro-American societies people only knew a few words, which they use at times interchangeably to denote the veil—hijab, chador, niqab, burqa—so I wanted to explain the meanings of each of these terms so that people could use them more correctly. But then, as I was doing my research, I began to encounter a growing number of terms that I was not familiar with and that referred to veiling. I quickly realized that the different terms I was running into did not reflect just different linguistic cultures, but also the real differences in veiling practices among Muslims. So I started making a list for myself so I would remember all the new words and in what society they were most prevalent. My list grew and grew, and this is when I realized that no such glossary exists and that many Muslims themselves do not know the very real diversity in veiling practices and the broad range of terms referring to veiling. I decided to make my glossary (which makes no claim to be exhaustive) part of my book so that it may be benefit other Muslim and non-Muslim readers and/or scholars. Right now, I am working on an accompanying website to the book where I will be adding pictures to illustrate each word in the glossary: http://veil.unc.edu. CR: In your book, you discuss veiling in the context of the Qur’an and Islamic law. How, if at all, are they related to veiling practices? SA: Many non-Muslims and Muslims assume that veiling is a requirement for all Muslim women and that this prescription is spelled out explicitly and unequivocally in the holy book of Islam, the Qur’an. Such a view, regularly repeated by the media and by policy makers and often taken for granted by regular citizens, is reinforced by the voice of both conservative and many liberal Muslim clerics who maintain that it is incumbent upon Muslim women to wear the veil beginning at puberty. Few acknowledge the fact that the Qur’an actually says little about the veil and that the holy book never employs the term hijab to refer to women’s clothing. In fact, the topic of veiling and of appropriate Islamic clothing in the Qur’an is more ambiguous and less straightforward than conservative Islamist clerics and many non-Muslims and Muslims tend to believe. Fewer realize that there is not even an Arabic word that is equivalent to the English term “veil” in its reference to a particular kind of clothing. So discussing the Qur’an in relation to veiling practices is crucial. CR: Throughout your extensive research on the topic, have you found that veiling is more a product of religious and cultural circumstances or personal choice? SA: I would say that veiling is a product of all of the above, and many other reasons as well. Veiling is due to a variety of reasons, including social, political, cultural, and economic, as well as personal and spiritual ones. While some women indeed must wear the veil because it is imposed upon them by a society with a conservative reading of Islamic traditions, others wear it proudly out of deep piety and conviction that it is an Islamic prescription. Yet other women wear the veil as a political assertion of their national identity, or as an expression of their disappointment in the failure of Arab nationalism and of the postcolonial world, as a tool of resistance to Euro-American stereotypes and policies towards Muslims, or as a means of declaring their opposition to the commodification of women’s bodies in Euro-American societies. Still others wear it for socio-economic reasons, either because it allows them to forego the expense of new clothes and a hairdresser, or because it gives them the confidence to go out in public, hold jobs, and become financially independent in a society only recently accustomed to having women mingle alongside men in public and work spaces. Perhaps the most important thing to understand about veiling is that there is not and has never been one singular reason for wearing hijab that one can consider valid for all peoples or all times or all societies. Variation is truly the norm. CR: You have made frequent visits to the Middle East. Could you tell us about your experiences there with Muslim women seeking hijab-friendly fashions and adapting their veils to mimic current fashion trends? SA: I am always very excited when I travel to the Middle East as I am eager to see the new styles and new colors of hijab. I am always surprised and humbled by the extent to which everyone knows about fashion and is keen to adopt it. I admit that having lived the majority of my life in France and the United States, and having moved to Australia just recently, I still struggle to keep up with fashion. On the other hand, many Muslim women living in Muslim-majority societies are up-to-date with the latest international fashions and do not shy away from wearing what non-veiled women wear, though after adapting it (“islamifying” it as one of my students liked to say). This means wearing a turtleneck or long-sleeve shirt underneath sleeveless or low-cut dresses, pants or thick tights underneath skirts, or a large cardigan over regular street clothes. Muslim women are also careful to maintain perfect color coordination between clothes, scarves, shoes, bags, and makeup. They are extremely creative when it comes to dressing and looking fashionable, active, and cosmopolitan. CR: Why, if veiling is such a visible and controversial aspect of Muslim culture, do you think it is not more frequently addressed in an even-handed manner? SA: I think this is because the available books on the veil are either sensationalistic or academic and overly specialized. They also often tend to focus solely on one aspect of the meaning of the veil, thereby offering only one part of the story. So to date, for instance, (and besides Liz Bucar’s The Islamic Veil, which was published in 2012), there is to date no single book that tells a general reader about the history and meaning of the veil from inside both Muslim-majority and Euro-American societies. There is also no available book (including Bucar’s) that tells the story of the Islamic veil from the interdisciplinary vantage point adopted here, namely associating the religious, political, and artistic perspectives on the veil. Finally, there is no available book that straddles the past and present to recount the history of the Islamic veil from a contextual perspective and show the relevance of the past (Qur’anic discourses, nineteenth-century European views of Islam and their attending imperialist perspectives) to a better understanding of contemporary political debates. What Is Veiling? is designed to fill this gap in the literature. 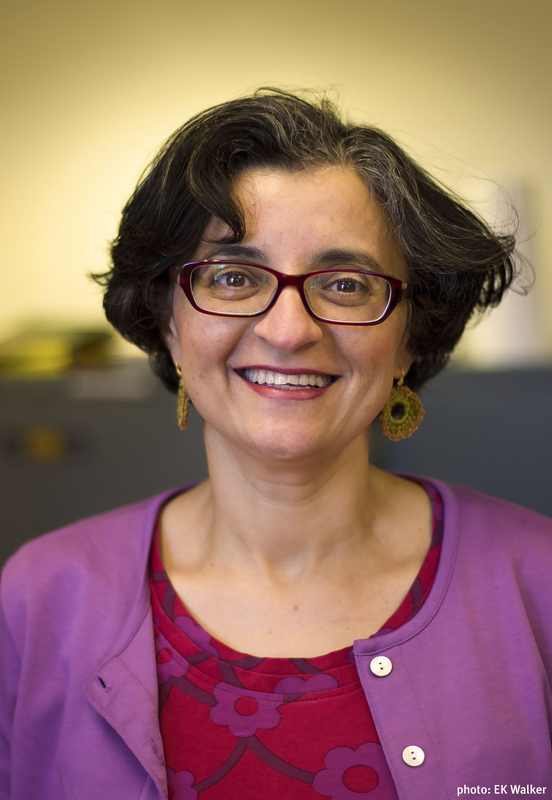 ###Sahar Amer is professor of Arabic and Islamic studies at the University of Sydney. What Is Veiling? is now available.